Federal Aviation Administration’s continuing mission is to provide the safest, most efficient aerospace system in the world. ACUASI, was established in December 2012 by the University of Alaska Board of Regents in recognition of the importance and growth of the unmanned aircraft program. 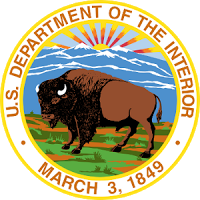 The United States Department of the Interior (DOI) is the federal executive department responsible for the management and conservation of most federal land and natural resources, and the administration of programs relating to Native American, Alaska Natives, and Native Hawaiians. 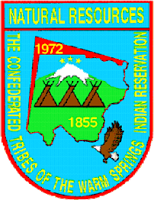 Bureau of Indian Affairs (BIA) is the oldest bureau of the United States Department of the Interior. Established in 1824, BIA currently provides services (directly or through contracts, grants, or compacts) to approximately 1.9 million American Indians and Alaska Natives. The Bonneville Power Administration (BPA) is a federal agency operating in the Pacific Northwest. BPA was created by an act of Congress in 1937 to market electric power from the Bonneville Dam located on the Columbia River and to construct facilities necessary to transmit that power. 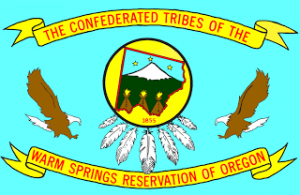 The Confederated Tribes of Warm Springs is a federally recognized confederation of the Warm Springs, Wasco, and Paiute tribes who currently live on and govern the Warm Springs Indian Reservation in the state of Oregon. The Warm Spring Hotshots are the second oldest IHC crew in Indian Country. Started in 1984, the crew came into form first as a type 2 Forestry crew as a means for the Forestry program to leverage employment opportunities on the Warm Springs Indian Reservation. Oregon is a state in the Pacific Northwest region of the United States. Oregon is bordered on the west by the Pacific Ocean, on the north by Washington, on the south by California, on the east by Idaho, and on the southeast by Nevada. 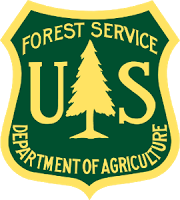 The United States Forest Service is an agency of the U.S. Department of Agriculture that administers the nation’s 154 national forests and 20 national grasslands, which encompass 193 million acres. 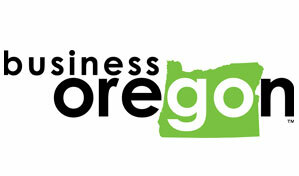 Oregon Business Development Department is an agency of the government of the U.S. state of Oregon,also known as Business Oregon, providing support of economic and community development and cultural enhancement. The National Aeronautics and Space Administration is an independent agency of the executive branch of the United States federal government responsible for the civilian space program as well as aeronautics and aerospace research. Oregon State University is a coeducational, public research university in the northwest United States, located in Corvallis, Oregon. AUVSI is the world’s largest nonprofit organization devoted exclusively to advancing the unmanned systems and robotics community. Serving more than 7,500 members from government organizations, industry and academia, AUVSI is committed to fostering, developing, and promoting unmanned systems and robotics technologies. Akana is the outcome of a merger between two professional services firms – Cooper Zietz Engineers and Cascade Design Professionals – both Native American owned, both leaders in their fields. The Pendleton UAS Range (PUR) is a leading partner within the Pan-Pacific UAS Test Range Complex (PPUTRC) under the University of Alaska Fairbanks leadership that was designated by the FAA on Dec 30, 2013. Tillamook UAS Test Range’s primary facility, the Johnson Near Space Center (JNSC) located 60 Miles west of Portland at Tillamook airport (KTMK).